I was adopted at birth, and the family I grew up with had a daughter who was also adopted, she is two years older than me, unfortunately we do not speak, my adoptive parents have both passed, my dad 25 yrs ago and my mum 15 years ago. I had a normal education and went to college to train as a chef for three years – I am currently a chef manager at a local tearoom. About thirteen years ago I traced my birth family, unfortunately my birth mother had passed away a couple of months previously, though I do now have a brother and there is another brother who was born a year after me who was also given up for adoption. There was another brother (that would make 4 of us if you are losing count) who was 2 years older than me but unfortunately he died at age 18. I live with my wife Tina who I have been married to for nearly 25 years and our cat Tia Maria who is 16 this year. 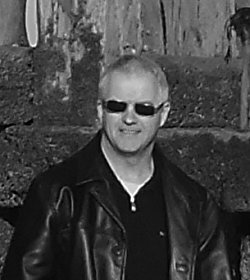 I am currently working on my fourth novel, a psychological thriller which I hope will be out later this year time permitting. I don’t, my sole aim is to get my stories out and if one person enjoys it then all the effort was worthwhile, I think I would consider myself a writer if I was able to make a living from it. I had always wanted to get the emotional aspect of adoption onto paper, and as much as I wanted to write my own story it would have been too painful, maybe one day though. So I decided to do one of the scenarios for my own journey that had played itself out in my imagination along with many others. All the emotions of the main character are based on my own life, including the self harming aspect. Most characters are based on people I know, though names are changed, and sometimes characteristics are exaggerated. Some of the events are real but a lot is pure fiction. 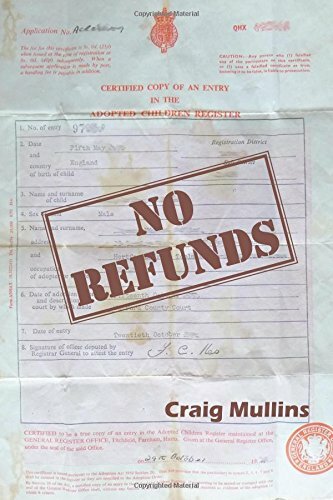 In No Refunds I think I want the reader to finish with a sense of hope, that no matter what life throws at you something good can always come from it, it may not be apparent at the time but there is always hope. 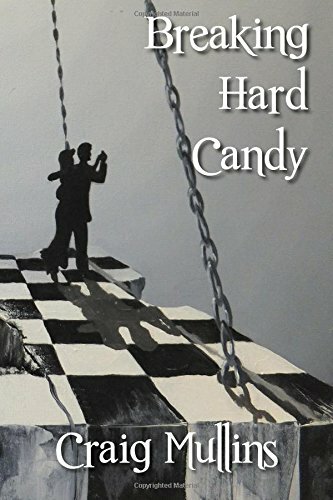 No, my last published book I was extremely happy with, it completed the story perfectly as a follow on to Hard Candy, though it went in a completely different direction to the original outline for the story. I tend to let the characters decide their own path rather than stick rigidly to a pre planned route. 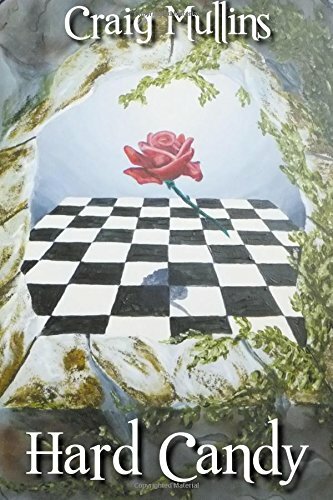 Just a big thank you to anyone that has read my books and even more gratitude to the ones that have been kind enough to leave review. Amy Winehouse, to tell her how talented she was, I don’t think she ever had the faith in her own ability or realised how much she was loved by her fans. I like your attitude about getting your stories out. That said, if you write stories for others to read, then you’re a writer. Best of luck to you.